The Australian wine producer has rebuffed an opportunistic offer from the U.S. buyout firm. The former Foster’s unit is a persistent underperformer. Treasury’s new CEO needs to quickly demonstrate his turnaround credentials, or let KKR try to squeeze out some value instead. Bottles of Australian produced wine are seen on a shelf in Sydney May 15, 2006. Australia’s Treasury Wine Estates said on May 20 that it had rejected a preliminary non-binding takeover proposal from private equity group Kohlberg Kravis Roberts & Co valuing the company at A$3.3 billion ($3.1 billion), including debt. The maker of Wolf Blass and Lindeman’s said that the proposal to pay A$4.7 per share in cash “does not reflect the fundamental value of the company”. The offer was equivalent a 27 percent premium to the closing price of Treasury Wine shares on 15 April, the day before the offer was made, and a 15 percent premium to the closing share price on May 19. 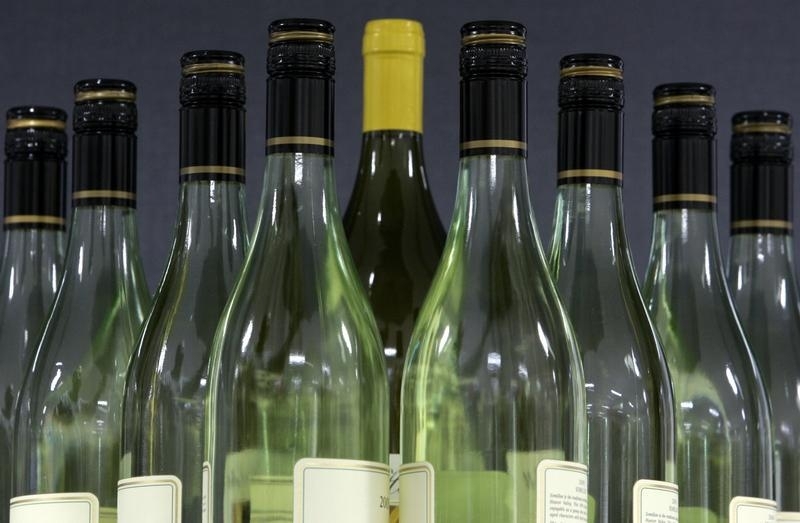 Treasury Wine said it would increase its investment in consumer marketing by 50 percent in the fiscal year ending in 2015 and achieve A$35 million in initial cost savings, mostly by trimming central overheads. The company cut its full-year net profit forecast by one fifth in January amid weak demand from China and competition in its home market. Michael Clarke took over as chief executive on March 31. Clarke was previously the chief executive of British food maker Premier Foods. His predecessor at Treasury Wine was ousted for poor inventory controls at the company’s United States business. Treasury Wine will have net debt A$283 million at the end of June, according to forecasts compiled by Eikon. Shares in Treasury Wine leapt 18.8 percent following the announcement to A$4.8.